System of Georgia Board of Regents on March 15 in Atlanta. 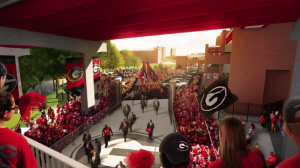 The project will include a new elevated plaza for fans to view the Dawg Walk, relocation of locker rooms to the west side of the stadium, a recruitment room to host football team prospects, updates to concessions and restrooms, and a larger video board, among other changes. If construction breaks ground in April, the project should be complete by the 2018 football season, Greg McGarity, UGA’s J. Reid Parker Director of Athletics, said in a statement. 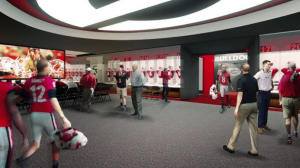 making it the largest facilities project since the Indoor Athletic Facility, which costed $30.2 million. The IAF was open for its dedication ceremony on Tuesday. Follow Grady Newsource on Facebook and Twitter @GradyNewsource.